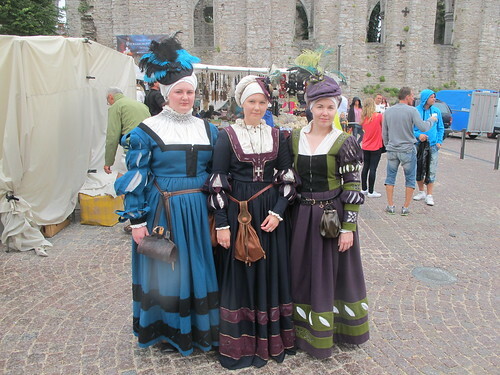 So it have been a few weeks now since I came back from the medieval week in Visby and I have had time to land again. The week was really awesome! 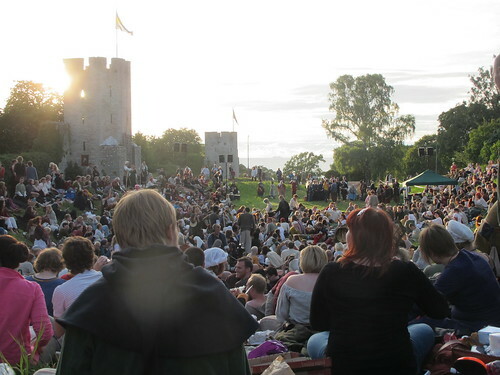 It is my second year going to Visby and this year was a lot nicer then the last, mostly because of the fact that last year we were in a tent at the SCA camp and your tent leaked so we spent a week living in the back of our truck in some kind of wet and cold misery (I brought to little blankets and so I spent the nights under my dresses). I kind of like the camping part, but not living in the back of a truck. This year we shared an apartment with some other people at Stora torget (the main square) and I have to say, the ability to take a shower and to sleep in a real bed; those are things I like. And it is always nice to live in the middle of everything, being close to all the good things. I feel that I spent most of my week eating and hanging around in the grass, witch is nice things to do, no stress. 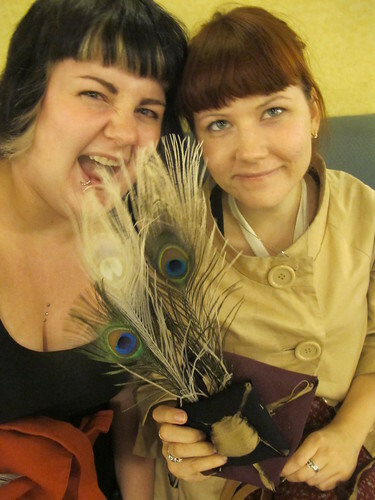 One of the people I lived with is Ellinor whose blog you can find here. It is her fancy man Robin with his fancy pipe in the background. 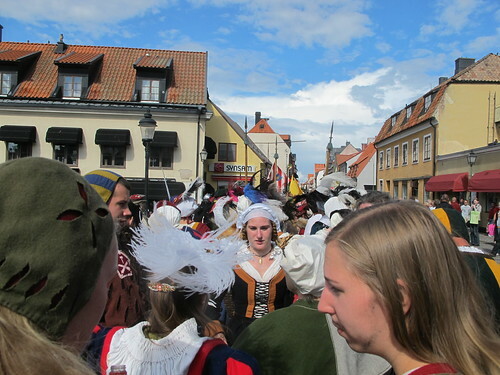 The highlights of the weekend was 100 landsknecht march where most of the landsknechts and fraus of the week meet up and march through most of Visby. Marching together with live music and screaming is actually so much fun, but it was really really warm that day. It is also nice that this march is open for anyone in renaissance clothing, you don’t have to be part of a group to join the march. Even if most of them are part of Proknekt. 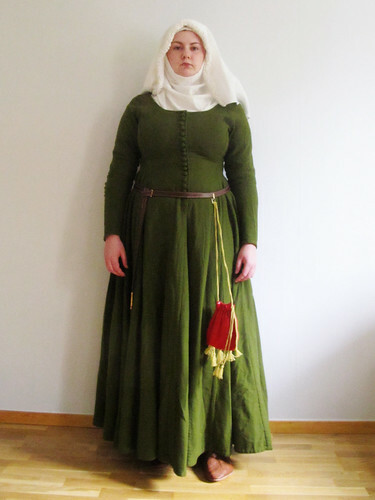 I also went to a lecture on “how to dress a 14th century lady and her knight”. They showed in a very informative way how they have interpreted pictures and the different parts of the costume. I got used/pointed out as a example of a frilled veil and turned bright red. It rained that day but my frilled veil being a non starched version hold up anyway, so I was happy not having a sad floppy veil when being centre of attention for 10 seconds. Another highlight of the week was that I got to meet one of you who read my blog! 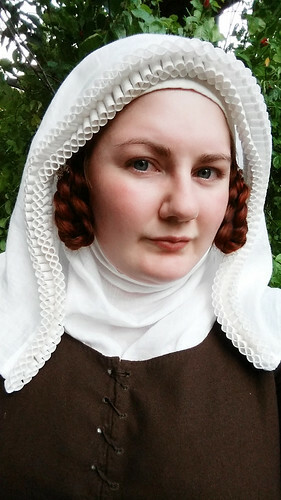 I was so surprised that I did not catch your name at all but it was really nice to meet you and I think that your 16th century German dress was really nice. We walked pass you just a few minutes before you came up to me and as I passed you I was thinking that “oh that smocked shirt looks really crisp”. I met a lot of nice people, had a fabulous time and got so much inspiration for new stuff to make. It is wonderful to be able to just blurt out “well, so what is your theory about so and so” and a discussion about historic clothing starts. Things like that does not happen in my every day life since no one of the people I meet on a day to day basis are interested in this. I cant wait for next year! 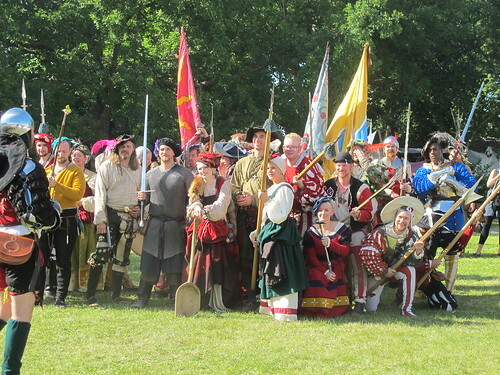 But I have promised myself, to look into the possibility to join a re-enactment group for my 14th century stuff. But when you know almost no one who is into it, it makes it hard to know what groups are best for you. 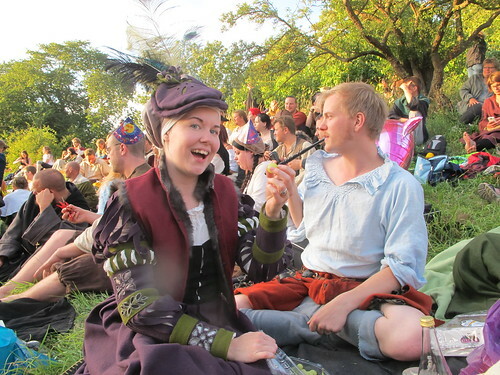 So now I’, off to Visby for medieval week. Perhaps Ill see you the. 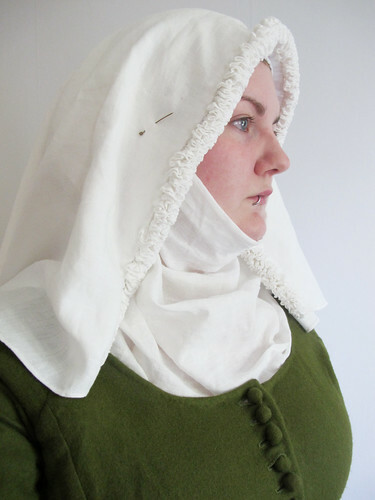 I will be sporting last years green wool moy boy dress, but with some new details. This year I have a proper veil as well. And of course, my frau! This dress have a lot of new thing. 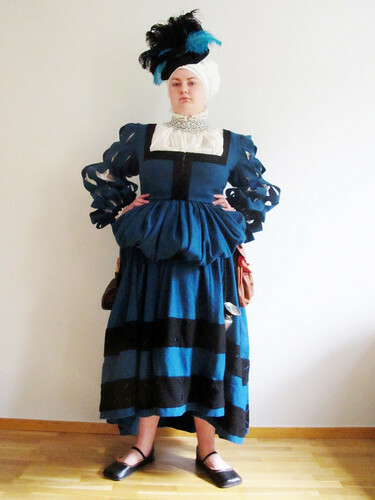 The bodice is completley new, with a lot better fit this time and new over the top sleeves. New hemd, steuchlein, bag, shoes, and a leather costrel. I will show you my new stuff more up close when I get home again.